This plugin is a perfect solution to allow your post/news/articles readers save it as PDF, MS Word Document, Text, HTML, XML and Print. UPM adds saving buttons under post content. It also allows you to locate these buttons whenever you need. 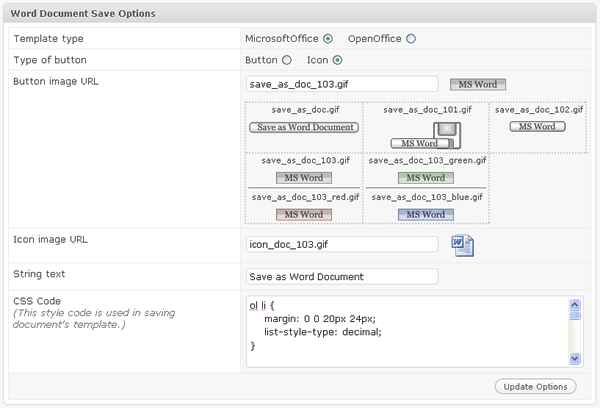 For Saving Manager there is turning off/on option too, you can control all type of document saving such as Text , HTML , MS Word , PDF and XML. Also you can choose appearance type of saving buttons and strings such as String or Button, Horizontal or Vertical , buttons align left or right , but it is possible to style buttons and strings by css directly. in template ( single, page or other custom template files for post and pages ) files wherever you want . Print Manager also have turn on/off , localization, button type options , here you can choose mode of print button appearance , such as Single or With saving buttons. For custom localization of Print button use this code: <?php upm_print() ?> . 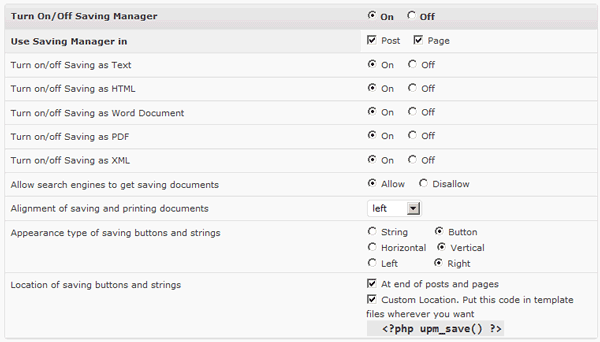 In this page you can find setting options for all type of post and page saving , first of them is “Save as Text”. Here you can choose type of button icon/button , set button’s or icon’s image URL from different images ( if you want custom button or icon image you should put it in /wp-content/plugins/universal-post-manager/images/img/ folder and type image name in that input area ) , and of course you can manage text of button’s string type. Like Save as Text , there are same options to choose button type , image , to change string’s text , but there is an additional option called “CSS code” , here you can put your css code to style your saved HTML document . In this admin-box also there are options to choose button type , image , to change string’s text , option to style your saved Word document and one more option to choose according template for Microsoft Office or Open Office document. 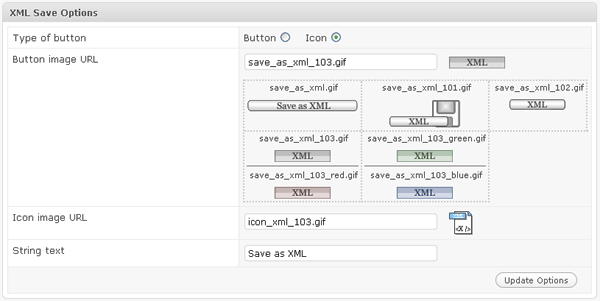 In this admin-box also there are options to choose button type , image , and to change string’s text . [ FPDF error: Alpha channel not supported ] You may encounter this error while viewing any PDF file containing a PNG file. Many PNG files have an Alpha channel imbedded in the file. The process in five steps listed below removes that Alpha Channel from the PNG file. Saved PDF document only consits of post content included images. 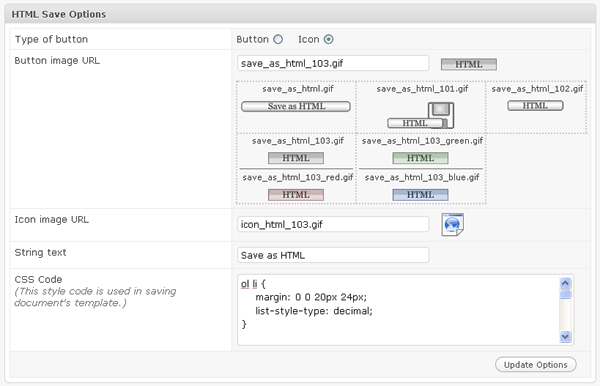 Like Save as Text , there are same options to choose button type , image and to change string’s text. This is an example of simple xml document which has saved from “About” page. Here are saving and printing buttons which can be showen on posts and pages of blog. 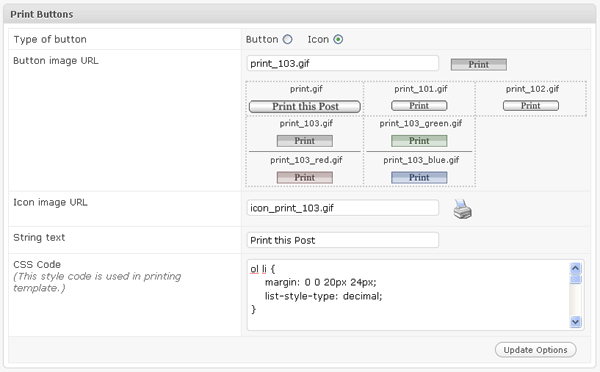 Since UPM v1.0.3 we have included printing feature in this plugin . When you press on print icon or button , all content of your post or pages is included in print template . As you can see in admin-box there are six part of printing template which you can show or hidden in print document. Here you can choose type of button icon/button , set button’s or icon’s image URL from different images ( if you want custom button or icon image you should put it in /wp-content/plugins/universal-post-manager/images/img/ folder and type image name in that input area ) , manage text of button’s “string” type and of course you can style print template adding css code in according input area.